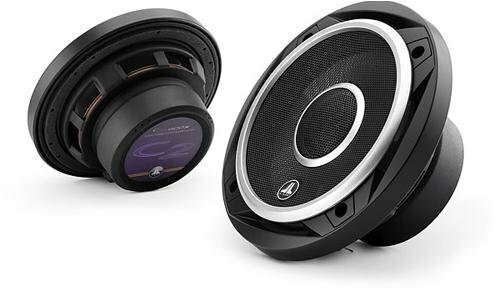 If you’re looking to upgrade your 6.5-inch car speaker, you came to the right place! Here, you can find out which is the best 6.5 speaker to buy. Now, upgrading your car’s sound system is easy if you know what you’re doing. You don’t need to stick to poor sound quality if you have the means to get better. Of course, you should consider several factors before buying your own aftermarket speakers. Things like sensitivity, impedance, peak, power, and frequency range matter if you want the best sound you can have. Don’t worry! We have the best 6.5 speaker brands and a lot of tips for you here below! 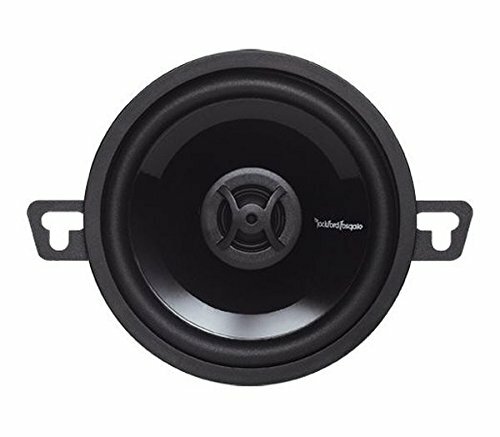 Will 6.5 speakers fit your vehicle? 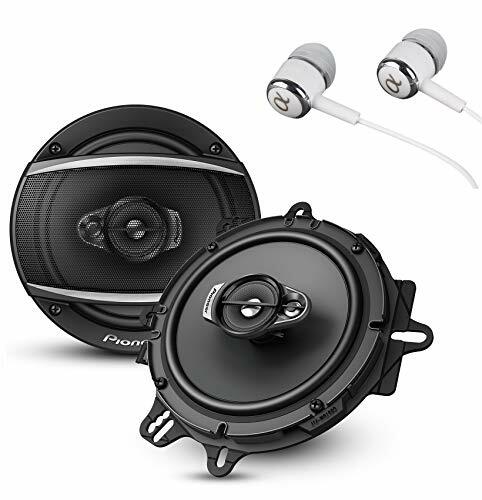 Also, if you’re looking to replace or upgrade your automotive audio systems, head over to this article – Best Car Speakers to find the best car speaker to buy as well as buying guides. Every audiophile in the world has dreamed about the best sound performance in his car at one point in time. With the best 6.5 speakers in the market and useful tips to back you up, achieving the best sound quality in your car is no longer a dream. 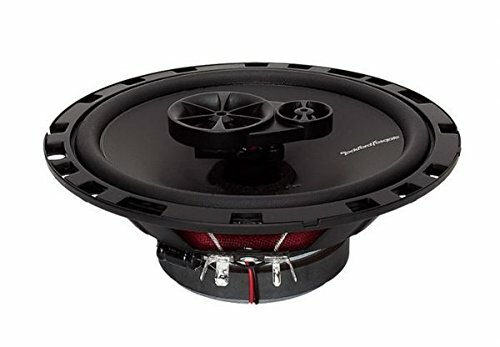 One of the best 6 1/2 speakers you can get out there today is the Rockford Fosgate R165X3. If you’re looking for a great aftermarket factory replacement speaker, this is it. It provides powerful and clear sound that will have you rockin’ to the music in no time. These speakers are made with a polypropylene woofer cone that produces amazing bass and impressive midrange frequencies. It even has a silk dome tweeter and piezo super tweeter to give you fantastic high-frequency handling. 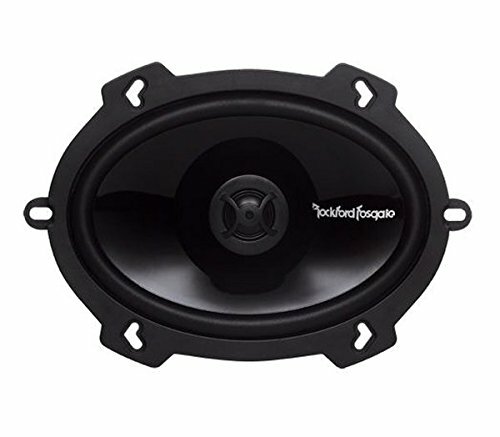 This Rockford Fosgate also has a crossover already installed to keep your sounds well-balanced and clear. And, you know what the best part is? It’s super affordable! For less than $50, you just found yourself a sweet deal! 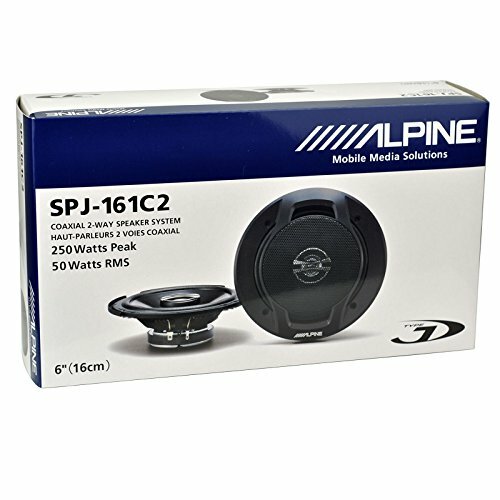 Another contender as one of the best 6.5 in speakers today is the Alpine SPR-60. If you’re looking for something that can compete in loudness, then this speaker is for you. The SPR-60 can produce big and dynamic sounds that will definitely get you moving. They are designed with woofer cones made with multi-layer hybrid fiber to give you a really excellent bass. Plus, it also has a ridged surround to provide a more extended movement. It also has silk tweeters that give off a super smooth high-frequency response. 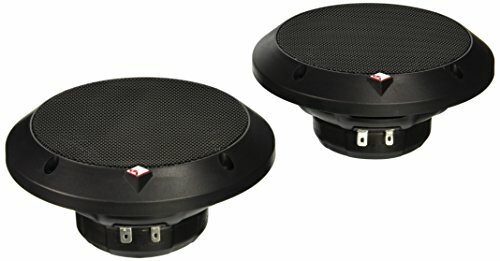 You won’t get any awful sound with these speakers installed. The SPR-60 also has neodymium magnets that help double its volume and double its performance. Sometimes, you need speakers that can withstand more stress than others. These marine speakers from Polk Audio can do just that. The Polk Audio DB651 can give your amazing and smooth sound quality that’s perfect for your car, your ATV, and even your boat. It features a fantastic 2-way speaker that can fit most European car designs. Plus, it can really compete in its loudness. So, you can totally bring up the volume! 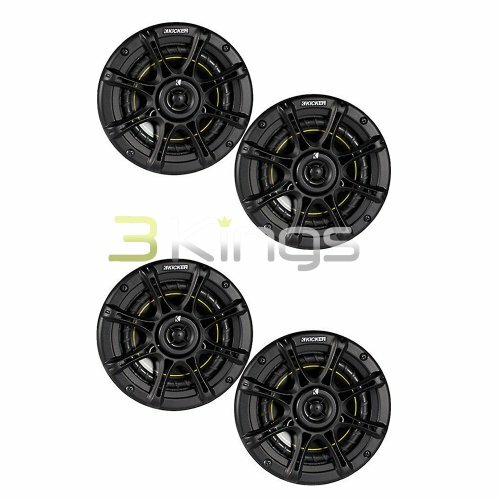 Its polymer-mic composite woofers and silk/polymer dome tweeters handle both high and low frequencies perfectly. Not to mention the built-in crossover that provides an excellent balance to the music all around. Talk about seamless sound, right? The Pioneer TS-A1676R from Pioneer proves that you don’t need to shell out a lot of cash for a fantastic performance. This speaker model can definitely compete in power and still keep you within budget, even if you decide to do an audio system overhaul. It can even handle up to 50 watts RMS, so you know you can really crank it up high! This speaker model features a mica-reinforced woofer cone that provides a great response. It also has an extra midrange driver that produces not only strong drums but also fantastic guitar riffs and deep bass. Plus, it also has dome tweeters that make the high-frequency details of your music super smooth and easy on the ears. Factory speakers can only take you up to a point. If you’re looking for better quality and higher performance, then you should definitely look into the DS65 from Kicker. It features a 2-way speaker that can outperform any factory installed speakers. It features a polypropylene woofer cone that has super durable polyester foam surround that produces crisp and clear sounds. It also has a polymer imide film balanced dome tweeter that can really go right up to the high frequencies for a smooth audio experience. This speaker has a sensitivity of 90 dB and has a 6-50 watts RMS power range as well as a 100-watt peak power. Some speakers have the ultimate best feature. What makes the CLUB6520 from JBL better is that it’s super well-rounded. You get all the best features in this single speaker model. More importantly, it provides crystal clear sounds. It features a UV-resistant polypropylene woofer that produces amazing music even in the most extreme of temperatures. It also has a polymer imide tweeter that goes all the way up to the high-frequency details of your sounds, and give you music as you’ve never heard it before. 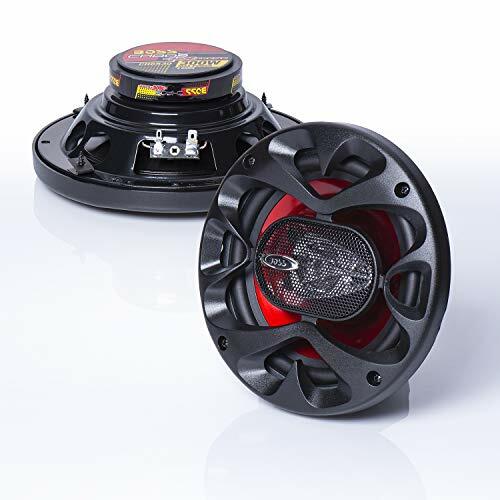 Plus, this speaker has a low-impedance design that can draw more power from your vehicle’s stereo to add an extra layer of awesomeness in your sounds. If you want the freshest sounds you can get, then you better try the DCX165.3 from Hertz. This speaker model will definitely bring your sound quality to the next level. It features a treated paper woofer that has a Polyutherane surround that can provide improved linearity in your music. It also has a polymer imide dome tweeter that takes care of your high-frequency details perfectly. With that combination, you can enjoy a wide range of sounds. That’s not to mention the built-in crossover that this speaker model has to provide you with the most reliable experience as well as a well-balanced performance. If you’re looking for an affordable and powerful speaker, then look no further than the TS-A1686R from Pioneer. It features a 4-way speaker that can produce incredibly clear and crisp sound. This speaker can handle up to 60 watts of RMS. It is designed with a multi-layer mica-matric woofer as well as a PET tweeter. But not only that! This super affordable speaker also has an extra midrange driver that can provide you with strong drums and deep bass. It can also handle high-frequencies really well! With all the benefits you get, you really can’t go wrong with these speakers! Especially if you’re on a tight budget! If you’re more into detail, then you should definitely try out the 62.11i from Infinity Kappa. It isn’t called legendary for anything, you know. It features a Plus One+ glass-fiber woofer cone that has a hi-roll rubber surround for a strong and very defined bass line. Using glass-fiber allows the woofer to weigh less and draw less power for maximum performance. It also has an edge-driven, soft dome tweeter that can handle a lot more power and produce an ultra-smooth high-frequency response as well as up to midrange frequencies. This speaker model has a sensitivity of 95dB and has a power range of 5-75 watts RMS (225 watts peak power). If precision is the name of your game, then you will definitely fall in love with the C2-650X from JL Audio. This speaker model features woofer cones made from polypropylene that not only produces impressive quality but is also highly durable. You can get high power from these speakers without even experiencing any distortion. That’s why it can give you fantastically full low-frequency response. These speakers also have silk dome tweeters that can really go up to the high-frequencies and still maintain super smooth sounds. Say goodbye to headaches! Plus, the C2-650X also has a built-in crossover that helps keep your sounds well-balanced and seamless. 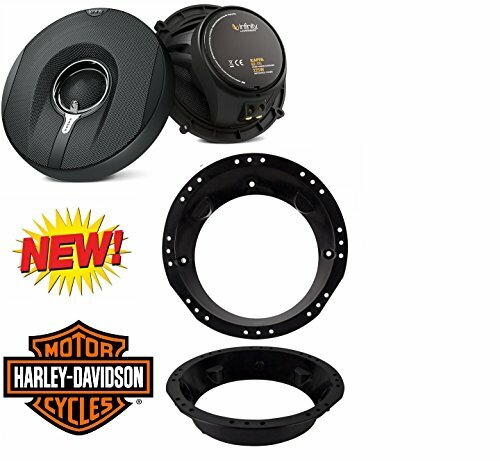 If the cheapest is what you’re looking for, then the Boss Audio CH6530 is one of the more inexpensive 6.5-inch car speakers you can find with acceptable quality. While the CH6530 is out beaten by almost all the other speakers we reviewed here but we keep it here due to its price. For a price below $30, this car speaker can get the job done for much less. In this case, the CH6530 is an excellent candidate to test the water before you decide to upgrade to something more serious. This speaker has a power handling of 75 watts and peaks at 150 watts. Also, the sensitivity is 90dB. As long as you don’t expect these speakers to deliver impressive sound, you won’t be disappointed. 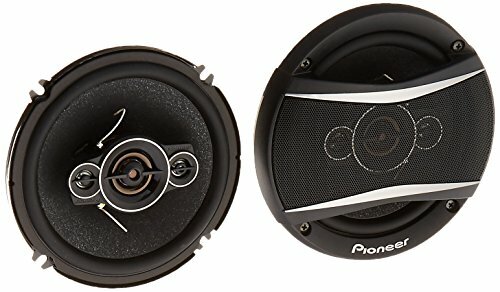 When it comes to car speaker, you do get what you pay for. And if you are an audiophile, it’s better to skip this model. However, if you’re looking for a replacement of your 6 1/2-inch speakers regardless of the quality, then this model is a good pick. 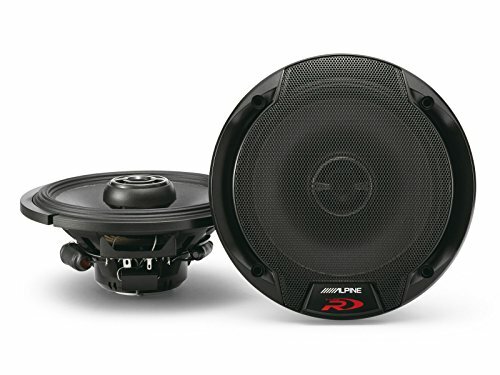 Another cheaper range brand and entry-level for car speaker are Pyle. Now, for a speaker to price at $20 is no match for other speakers that we review here in term of quality. 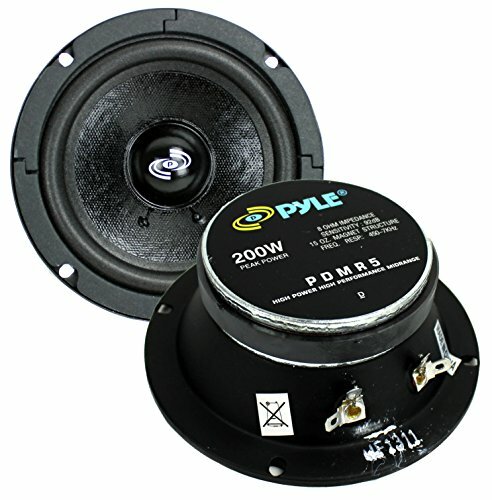 But if you’re looking for cheap 6 1/2 speaker replacement, the Pyle PL63BL is for you. If sound quality is not what you’re aiming, then PL63BL is actually quite good. The PL63BL actually can perform acceptable performance for the highs and mid-range, and if that’s all you need (i.e., if you have a separate sub-woofer or don’t listen to heavy bass music), then you can’t beat the value. That said if you listen to music with any significant amount of bass these speakers will start to distort at the mid-volume level and sound bad any louder than that. This is due to their narrow frequency range. 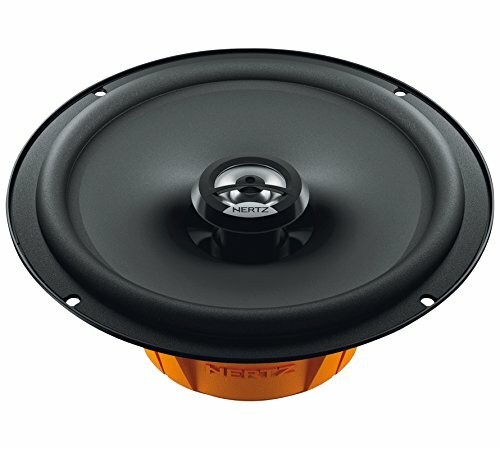 While most mid to high-end car speakers can go as low as 30 Hz, these speakers can only hit as low as 90Hz. Again, if you are an audiophile, it’s better to skip this model. 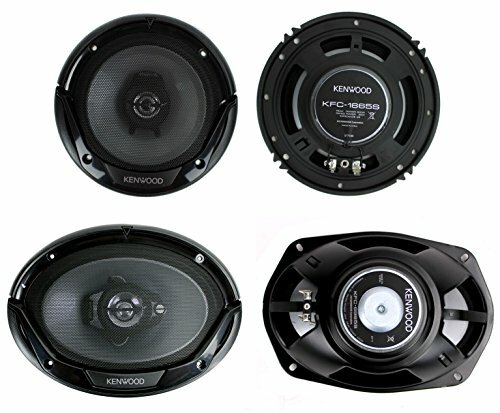 Kenwood KFC-1665S speakers feature a wide frequency range and are very sensitive at 92dB. The power handling for this speaker is 30 watts and peaked at 300 watts. The KFC-1665S provide plenty of volumes. Unfortunately, you won’t get any thumping bass from these. 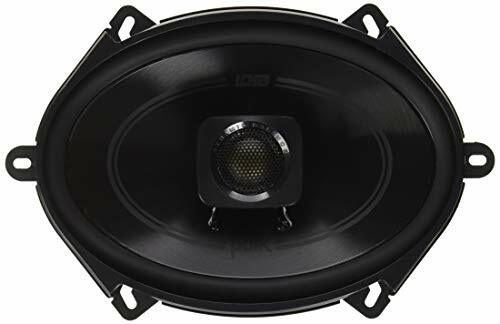 While this car speaker might not be the best 6.5 car speakers in the market but they are going to be a significant improvement over the factory installed standard speakers. If we have one thing to comment, we’d have to say that these speakers won’t be able to handle a huge amount of power. However, at the price these speakers are being offered, we can’t complain much. The best 6.5 car speakers aren’t the only types of speakers you need to look into. In fact, there are a lot of size varieties you can choose from. A special kind of size that is not so readily available is the 6-inch speakers. Another hard-to-find speaker size in the market is 5-inch speakers. Most of these speakers are woofers, so they play midrange the best but can easily play most frequencies. You can’t just rely on the best 6.5 car speakers all the time. Sometimes, having another size can make a lot of difference in your sound quality. Sure, the best 6.5 speakers and the best 5×7-inch speakers make for great woofers; but both of them can handle different frequencies better. Smaller woofers can handle high-frequency, while larger ones can handle low-frequency. 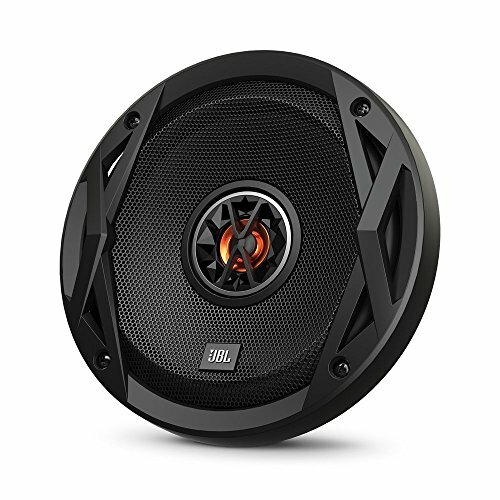 Also, if you’re looking to buy or upgrade your 6 x 9-inch speaker, head over to these articles – Best 6×9 Speakers and 4-Inch Speakers for the best car speaker to buy and buying guides. 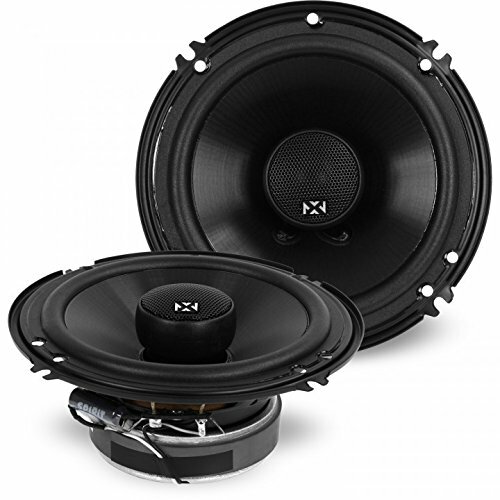 Knowing the best 6.5 in speakers is not enough to get an excellent car audio system. You should also be equipped with further knowledge as to how to determine that what you’re getting is actually the best for you. And the best place to start is knowing why you should get aftermarket speakers in the first place. Let’s face it. Factory-installed audio systems do the job. But if you want something that does the job perfectly, then upgrading your audio system is the way to go. 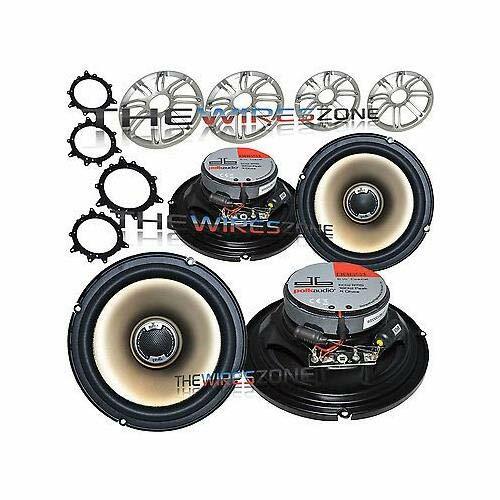 Whether you’re looking for the best door speakers, best 6.5 car speakers, best whatever-else-sized speakers usually come as aftermarket speakers. 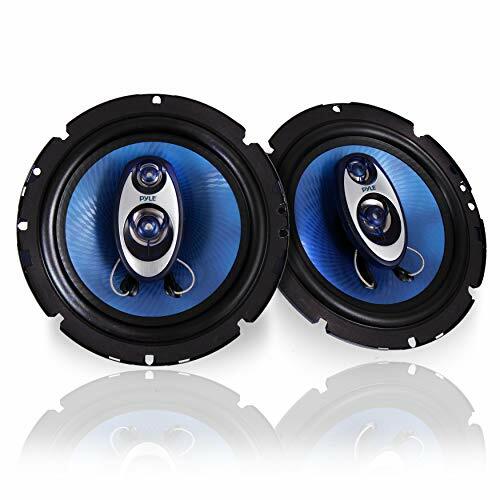 Aftermarket speakers refer to the speakers that you buy independently and install after buying your car. That means, they don’t come with the car. Let’s put it this way: a speaker manufacturer’s main concern is sound quality, and a car manufacturer is overall car quality. Aftermarket speakers tend to be better than factory-instilled ones because the sound is their main selling point. The designs used to build them are more attuned to the need to produce better sound. Systems created with aftermarket speakers tend to be more complicated and use more durable materials to provide you with crisp and clear sound. Most aftermarket speakers also come with better crossover circuits that balance the sound better. 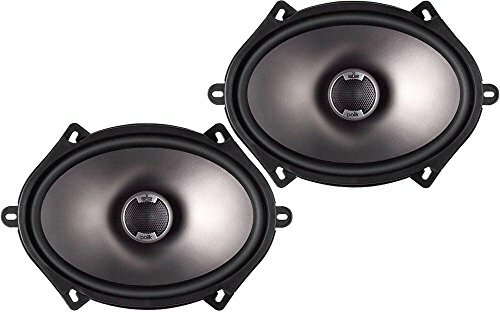 Likewise, the materials used for building and designing aftermarket speakers are better researched to provide only the highest quality you deserve. These materials can improve both your audio system’s performance and life span since they have been tested to last even under excessive use, varying temperatures, and different kinds of stress. Sure, there are some speakers out there that are brandless or come from relatively unknown brands that could probably perform well. Now, the keyword here is ‘probably’. So, it might not turn out right and it’s usually the case, unfortunately. So, getting well-known brands can still be the more affordable option in the long run since you already know they work. They have been tried and tested by other users in the past. It’s way more cost-effective than trying out a no-brand speaker that might give you worse quality than before. Just think about your new speakers as a form of investment since you’d be using them for a long time. Whether you’re buying the best 6.5 speaker model or a speaker of a different size, there are some features that you need to consider before making your final purchase. These features will help you determine whether or not the speaker model you’re getting is actually compatible with your car. So, you’re deciding between getting the best 6.5 component speakers or the best 6.5 coaxial speakers. But you don’t whether to go with component or coaxial speakers. So, before you decide, it’s much better to know the difference between the two first. Coaxial speakers are also called full-range speakers. They are the most common type of speakers you can buy in the market today. Most cars are installed with coaxial speakers so if you still have your original system installed; there’s a high chance that they’re coaxial. Aside from being readily available, coaxial speakers are also easy to install. However, they can only provide modest sound quality and are less customizable. Coaxial speakers are a great choice if you just want to upgrade your audio system without any fuss. But if you’re going for the best sound quality, then component speakers are the way to go. Component speakers have a more sophisticated design that allows you to customize your sounds to your heart’s desire. Avid audio enthusiasts will definitely hear the difference between a component and coaxial speaker. However, they tend to come at a much higher price point and are more difficult to install. 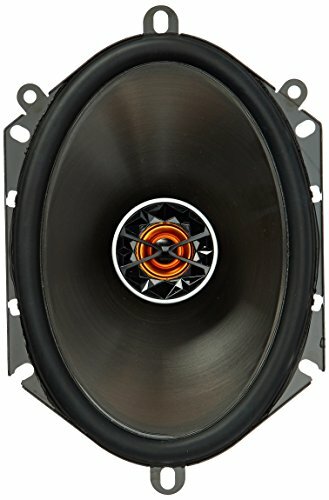 Component speakers are a worthwhile investment if you want the best sound quality and are willing to spend money on this project. Impedance refers to the amount of electrical resistance your speaker has. Matching your speaker’s impedance rating to that of your audio system or amplifiers is critical if you want to get the most out of your speakers. Most will instruct you to get high impedance, and that has some merit. The lower your impedance, the more power your speaker draws from its source. However, you don’t want to get a speaker whose impedance is too high if your audio system or amplifier can only accommodate a lower impedance. Frequency range is vital to balancing how the sounds move inside your car. Adjusting the range of frequency will show you the different effects of sound. Use your tweeters to create better high-frequency sounds. Make sure that they are correctly angled so that you have an excellent experience. A mis-angled speaker can cause literal headaches and lower your sound quality significantly. You might even want to invest in a crossover if you don’t already have one. A crossover can provide a well-balanced distribution of frequencies between your woofer and your tweeter. Sensitivity is vital for getting the best performance from your car’s audio system. It pertains to your speaker’s volume depending on an amount of power. You would want to get a speaker with a sensitivity of above 84dB. The average you would be able to find is 88dB but if you can get your hands on a speaker with above 94dB, go for it! Power Handling refers to the amount of power that your speakers can handle. If you’re not careful in matching your speakers to your system/amplifier, you might get sound problems like distortion or blown speakers. When talking about power handling, you would most likely encounter RMS (Root Mean Square). This is the amount of continuous power that your speaker can handle at any given time. You might have also heard of peak power which is the maximum amount of power your speakers can handle during short periods. When choosing a speaker, make sure to give more importance to the RMS than its peak power. Most car speakers look the same, which makes it easier for you if that’s the case. However, not all speakers and cars are designed similarly. So, you need to make sure that the speakers you’re getting actually fit your car. Even if you got the best 6.5-in speakers with the best bass are useless if you can’t even install them in. You should also take into consideration the materials used to build your speaker. You need to think of the sounds that you want to produce so that you can choose between materials like poly, silk, or textiles. Synthetic materials like polypropylene are easier to maintain because they can withstand a variety of temperatures and moisture. Then, if you’re more concerned with durability and quality, and rubber base will provide you with better longevity and performance. Of course, you would only want a product that can last you a long time, right? But you should be more vigilant about durability if you’re going to install your speakers in an off-road vehicle or a boat. If so, you should probably look into speakers that already have marine certifications. To discover the best 6.5 marine speakers in the marker, head over to this article – Best Marine Speaker for the best marine speakers and buying guides. Unfortunately, installing car speakers require a lot of know-how since you’ll have to remove and put back door panels and other parts. That’s why it’s better to have an audio shop do your installation for you. However, doing it yourself isn’t impossible as well. It just requires more effort. Make sure you have the correct dimensions of both your car and speakers. Remove your old speakers from the harness. Install a new harness & connect your new speakers. 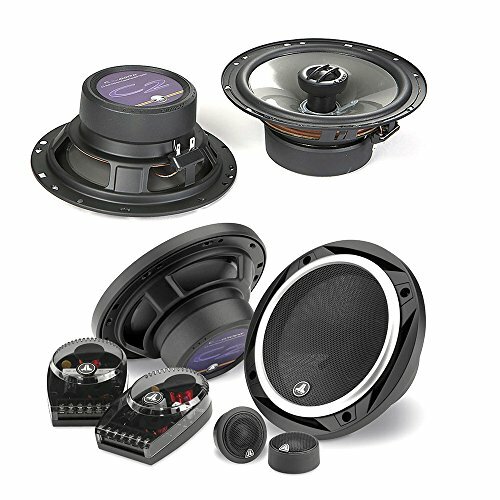 If you are looking for car audio shop, head over to this article – Car Audio Shop, to find the best audio shop and installer near you. You might be confused. Why would you need to consider if the speakers you’re getting will fit? All 6.5 speakers measure the same. However, the best 6.5-car speakers may vary in designs and whatnot. The speaker size isn’t the only factor you have to take into consideration. It might be a good idea to call customer service or ask a salesperson if the 6.5 car speaker you’re thinking of getting is actually compatible with your own vehicle. By providing your vehicle model to the salesperson, he will be able to advise you accordingly. What’s more to think about? Surely, the higher the price, the better the speaker, right? The best 6.5 speakers for the money can fall somewhere below the most expensive price point. For one, you have to wade through thick layers of marketing to see whether the speakers you’re getting are actually worth their price. You could probably get a pair of speakers for about $50 and produce reasonable sound quality. But for the best performance, you might have to be prepared to shell out at least over $100+. The best 6.5 component speakers under $200 are great; but if you can find a gem in the best 6.5 component speakers under $100, you’d probably be ecstatic about that. Overall, it’s not a matter of price. It’s how the features of the speakers fit your specific needs. See, just knowing the size of the speakers you want to buy isn’t enough. The best 6.5 speaker brand can only tell you so much. You also need to make sure that you have a good knowledge of your actual stereo and the other accessories you might need to upgrade your car’s audio system. Also, to learn more about car radios, head over to these articles – Best Car Radios and Best Car Amplifiers to find the best car radios in the market and buying guides.